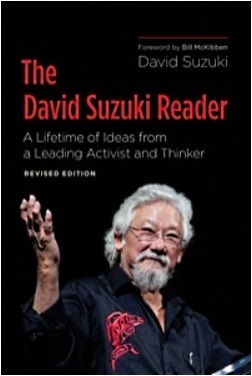 In this revised and expanded edition of his collected writings, David Suzuki continues to explore the themes that have informed his work for more than four decades — the inter-connectedness of all things, our misguided elevation of economics above all else, the urgent need to deal with climate change — but with an increased emphasis on solutions to the myriad problems we face, his inspiring vision for the future, and the legacy he hopes to leave behind. There is also more emphasis on the personal, as he recounts episodes from his childhood and early adulthood and speaks eloquently about old age, death, and the abiding role of nature and family in his life. Written with clarity, passion, and wisdom, this book is essential for anyone who is an admirer of David Suzuki, who wants to understand what science can and can’t do, or who wants to make a difference.